What are dogs scared of? Dogs, like all animals, are individuals and can fear just about anything. Some dog fears make perfect sense to us, and some make no sense at all. Some of your dog’s fears may go unnoticed because they are so out of the blue and subtle. Unless we know how to read dogs, we will miss them. 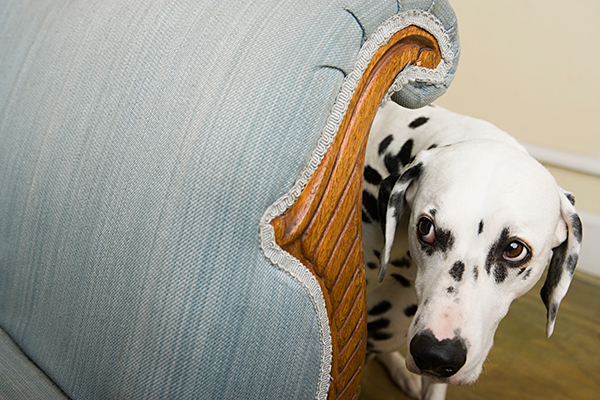 Missing the signs that your dog is scared of something might cause long-term fears and manifest in unwanted behaviors. Before we answer the question, “What are dogs scared of?” let’s talk about critical fear periods. Photography ©Image Source | Photodisc via Getty Images. To start, know that there are critical fear periods in dogs’ lives, from puppyhood until they hit maturity, and it behooves us to learn when these periods are. This way, we can be careful not to introduce new things or, if we do, to take extra care in how we approach them, so we can eliminate or diminish unnecessary fear or anxiety. Some dogs are scared of other dogs. Dog Decoder smartphone app | Illustration by Lili Chin. Answering the question, “What are dogs scared of?” is complicated. This is a short list of just a few common dog fears. But dogs can fear just about anything for no human-known rationale. Some dogs may show us they’re scared of something by not participating in an activity that they usually love. Dog Decoder smartphone app | Illustration by Lili Chin. Usually when dogs start manifesting behaviors out of the ordinary, they are reacting to something that scares them. It’s our job to help them feel safe again. Sometimes, we have to play detective by paying close attention to when the behavior happens and what the expressions are. Learning to read dog body language is key to helping fearful dogs. How Do You Help Dogs Overcome Their Fears? You can help your dog overcome his fear. Dog Decoder smartphone app | Illustration by Lili Chin. No matter the fear and how big the expression is, be it full-out panic, barking, lunging, shaking, backing up and even biting, it’s our responsibility as our dogs’ loving guardians and advocates to address it with extreme patience and a gentle approach. Many experts agree that fear is the root cause of aggression when not properly identified and treated. Never think that dogs are behaving badly — they are expressing some kind of anxiety. They don’t need punishment. They need our help to make them feel safe again. Use a step-by-step approach to overcoming your dog’s fears, moving only as fast as the dog is comfortable. We must never push a dog through his fears. Overwhelming a fearful dog oftentimes exacerbates the fear. The dog may then go into learned helplessness or get bigger in his behaviors. However, once we’ve identified a fear, we can proceed to desensitize our dog to his fear by breaking it down into small bits of training. This will help change the association to the trigger, from fear to calm, based on trust. The goal is to lessen the fear, understanding that, for some dogs, it may take a few days, a few months or a few years, depending on how deep the fear is. 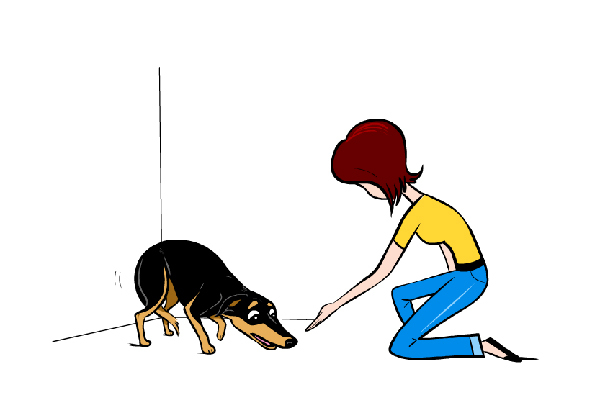 This method can be used for almost any fear a dog has. First, we must know what motivates our dog. Is it food? If so, what kind? Is it a toy? If so, which one? I use high-value treats like cooked turkey, chicken, hot dogs, etc., that the dog only gets during these training sessions. Make sure the dog is hungry before your training session. Start by exposing your dog to the fear (for example, a person with a hat on), either from a distance or show the object (for example, nail clippers). As soon as your dog sees the trigger, offer him a piece of chicken or throw it on the ground, in front of him, if he has zeroed in on the trigger. Foraging for food and food falling from the sky are great distractions. If your dog doesn’t take the food, you’re too close or the object is too close. Move away and start again. If it’s an object, like nail clippers, leave them out on the coffee table, then on the floor, etc. This way, the feared object doesn’t only come out for training. Remember, we are desensitizing them. Your body language and energy should be calm as you show your dog the trigger and offer the treat. Don’t talk to the dog, just offer or throw treats on the ground for him to forage. Tossing treats on the ground at a high rate, if he does look away from the trigger and begins to forage or take the treat, is crucial to changing the association from fear to good things happening when the trigger appears. Make training sessions short to keep them under threshold (not reactive). 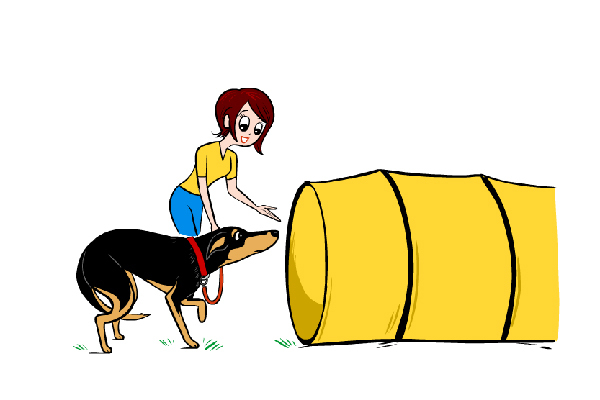 Add time little by little, keeping the dog from getting triggered (under threshold), and only decrease the distance if the dog remains non-reactive. If at any point, the dog reacts, you’ve moved too fast, too soon. Go back to where you were when he wasn’t triggered. 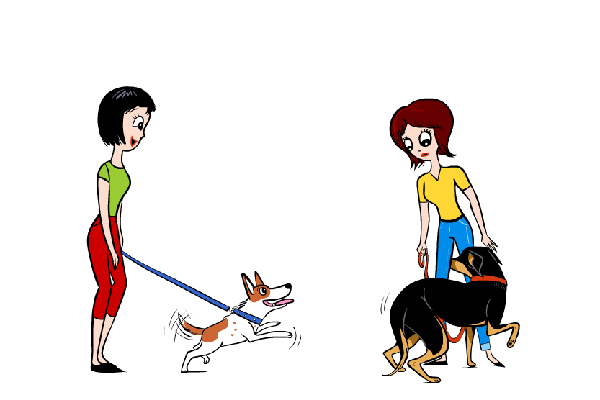 As you progress in desensitizing the dog to his fear, you’ll be able to walk by the person who once triggered your dog, and he won’t be triggered anymore. You’ll be able to take the clippers out, and he won’t run into another room. Breaks in between sessions, even a couple of days, is helpful for highly fearful dogs. Overcoming fears in dogs is an individual thing, and we must throw away any expectations we have about their progress. If at any time, you are concerned for your dog’s safety or anyone else’s, please call in a positive rewards-based trainer or veterinary behaviorist. Thumbnail: Photography ©anactor | iStock / Getty Images Plus. The post What Are Dogs Scared Of? How to Help Dogs Overcome Their Fears appeared first on Dogster.